In 1747 Johann Sebastian Bach went to Potsdam visiting his second son Carl Philipp Emanuel, who was at the court of Frederik the Great. In that occasion the elderly musician was welcomed with all the honors by the king of Prussia, great music lover, who asked him to improvise at the harpsichord a fugue for three voices on a deeply chromatic theme proposed by him. After happily completing this task, the king asked Bach to create a fugue for six voices on the same theme. The achievement however was too difficult to be improvised and for this reason Bach answered the king that he would send him a copy of this work after his return to Lipsia. From this memorable evening arose the Offerta Musicale, one of the huge masterpieces by the genius of Bach, a speculative work that continues nowadays to arouse regard and astonishment in the public. 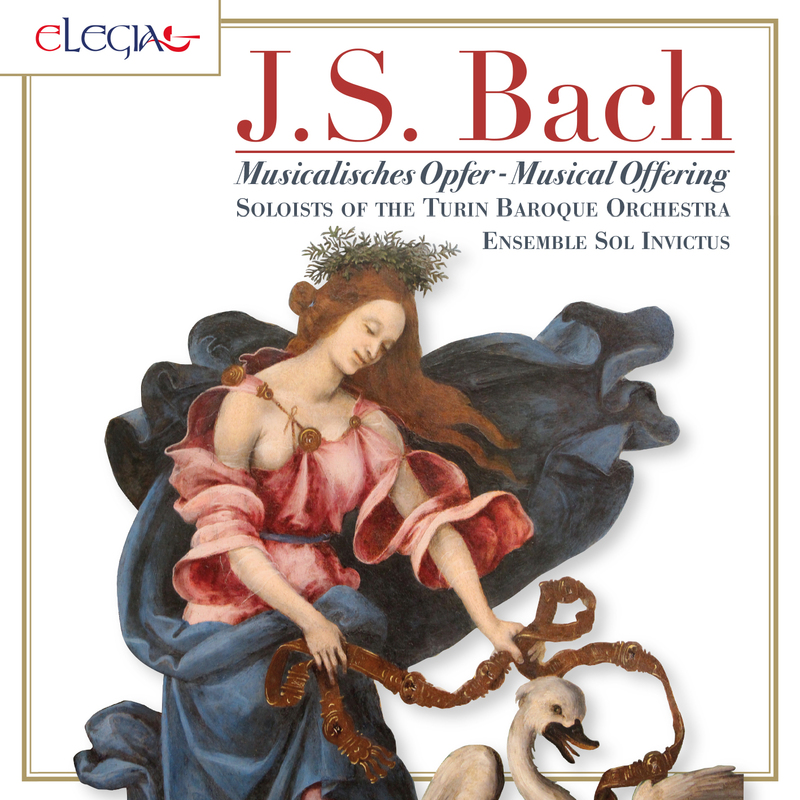 This piece is proposed by Elegia thanks to the Turin Baroque Orchestra soloists’ masterful reading, that already in 2017 has emerged with the splendid CD dedicated to the organ concerts by Vivaldi and that came up to the music of Bach with the same musicality and the same high interpretation. Svetlana Fomina: violino barocco, Johannes Fichtl, Mittenwald, 1767; viola barocca: anonimo del 18 sec. Gianluca Cagnani: organo Guido Pinchi op. 412, 1996; clavicembalo Bizzi, costruito secondo il modello italiano Giusti.